So, you know that rosé risotto I just made? And then that mysterious frying pan on Instagram? 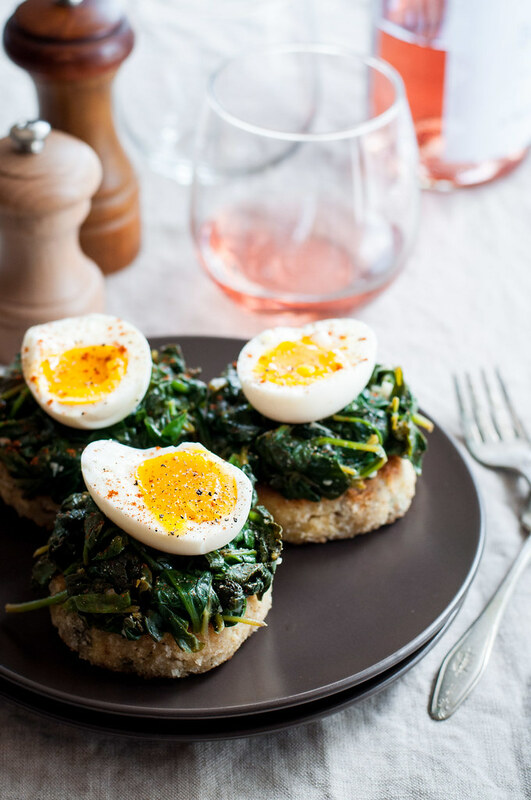 Today they’re combining in the tastiest brunch recipe I could think up, risotto cakes eggs florentine! Whoa. What? The name isn’t necessarily the most fluid, but it’s the most accurate description I could muster, after educating myself about egg preparations. Like most food bloggers, I’ve never been to culinary school (dream! ), so I quickly consulted Google to make sure my risotto cakes Benedict were true to their name. Nope. It’s not like you could learn this even through weekly brunching, because, despite being an expert bruncher, I now know that even many restaurants misrepresent eggs Florentine as eggs Benedict. Eggs Benedict = some kind of meat beneath the egg. Eggs Florentine = spinach under the egg. I got the original Benedict name idea from my favorite, for four years running, Connecticut restaurant, 1020 Post. 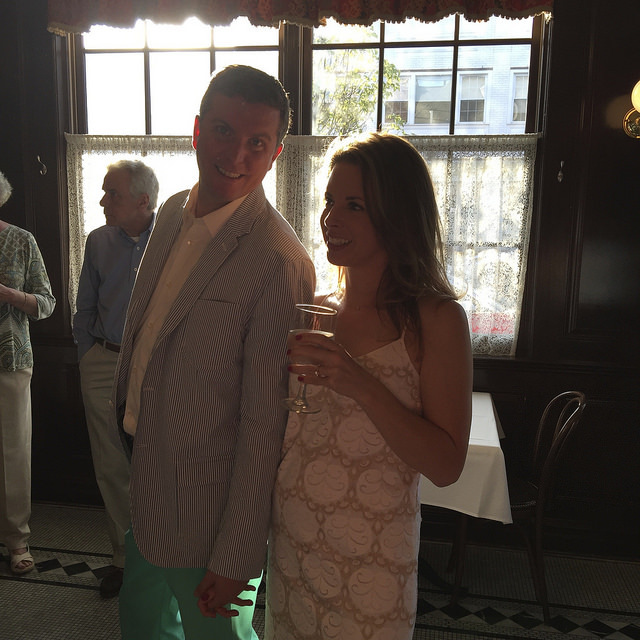 Thanks to consistent, classic dishes, always-fresh seafood, and, most crucially, half price bottles of wine on Sunday, Steve and I visit often and even held our engagement party there. See the totally unrelated pictures below. My favorite brunch at 1020 is crab cakes Benedict. Although crab is an animal (remember, Benedict = meat), I don’t think the dish would technically qualify as a Benedict. It’s a generous portion of two big crab cakes, topped with sautéed spinach, and, 95% of the time, successfully poached eggs. That’s an excellent rate of success for a restaurant, in my opinion. Sidenote: if you order brunch at a restaurant that includes a poached egg, and your yolk is not runny, send it back. Don’t be afraid. Unless you’re at Denny’s, your brunch chef should be able to properly poach an egg. Don’t stand for any of that hard yolk nonsense. Back on track, though. 1020’s “Benedict”, while I take no offense at their naming, is missing the signature pork, and highly encouraged english muffin. I totally appreciate the carb reduction strategy they take, and it’s the inspiration behind this risotto cakes eggs Florentine, but it really can’t be accurately described as Benedict. 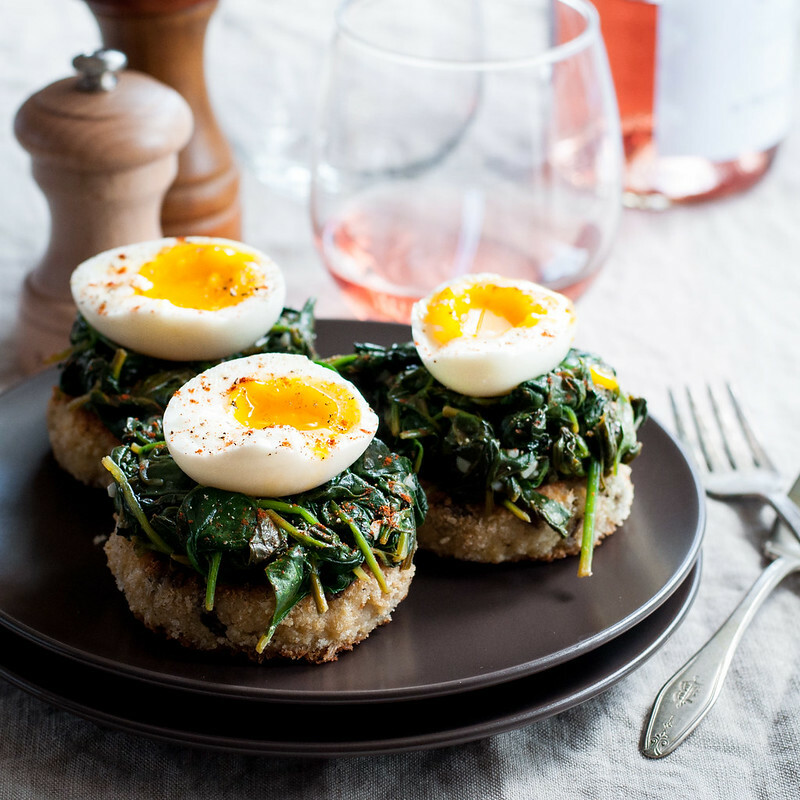 Do you not really care what your eggs are called and just want to find out how to make these rich, pan-fried rice cakes topped with garlic spinach and an egg that is runny, but much less work than poaching? Let’s do it. The recipe will tell you the facts, but, as usual, I have some comments for the inquisitive cooks out there. The risotto cakes are the bread and butter of these brunch stacks. Because they’re made from leftover risotto, they’re rich and creamy, full of butter, cheese, and maybe cream, depending on the risotto recipe you use. That’s good news, not only in the taste department, but because it eliminates the need to make another component: hollandaise sauce. I struggled with the sauce thing, but ultimately, there is plenty going on with the taste and texture already that hollandaise would just be unnecessary and boisterous, adding a FOURTH component. Not what you need when nursing a hangover and trying to get brunch on the table. 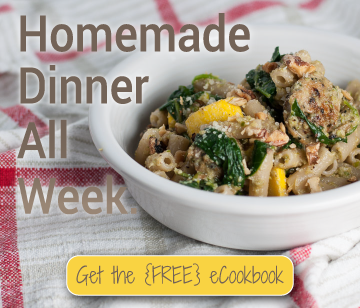 Friday night: make an awesome risotto dinner, with enough for lots of leftovers. Clearly label said leftovers with “DO NOT EAT” in the fridge. Saturday afternoon, perhaps while pre-gaming for your evening: Form the risotto cakes and get them all battered and ready to go. Sunday morning/early afternoon: Sauté spinach in 5 minutes, fry the cakes in 10 minutes, and boil the eggs in 7 minutes. So much better than doing all the work Sunday morning. Or failing to do all the work and resorting to a box of doughnuts. Making these sans hangover, say, for a bridal shower, would also be fantastic. They’re rather impressive and I think your efforts would be met with great appreciation. The risotto recipe I used, here, is made with rosé, so naturally, it makes sense to consume this brunch with a glass of rosé. Just two cakes is quite filling (a whole egg per stack would be way too rich), so not much is needed by way of sides. To fill out the plate, you’re best off with the traditional choices: a green salad, some fruit, and/or roasted sweet potatoes. If you do manage that whole spread, just be sure to send me an invite. 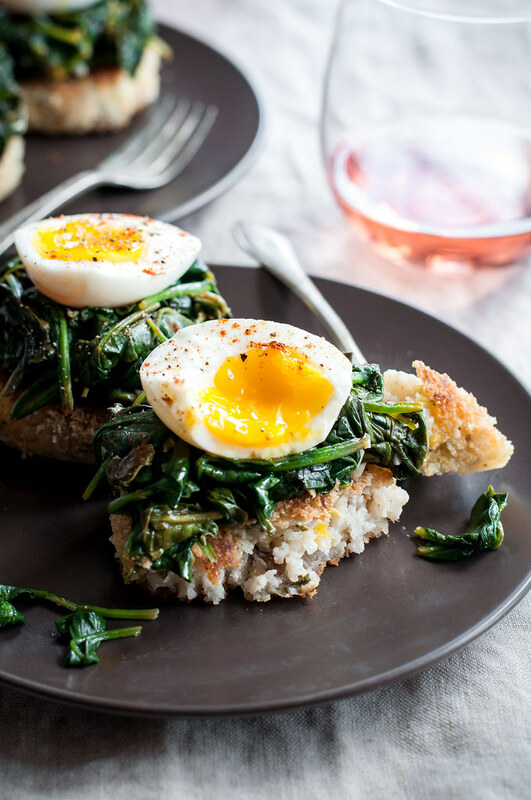 If you’re late to the party like me, you may be wondering what the deal is with the non-poached eggs perched beautifully atop our garlic spinach. It’s the 7-minute egg, recently popularized by Molly, embraced by the internet and brunch/breakfast enthusiasts everywhere. Some folks explain poaching an egg as if it’s as easy as scrambling, but I think that’s a stretch, unless you’ve poached a lot of eggs. It’s a total art form, and to do it well, it requires a few tools. These 7 minute eggs give you the same runny, while slightly thicker, yolk, without any fuss. If you’re feeling ambitious, you can easily cook the eggs while frying up your risotto cakes. 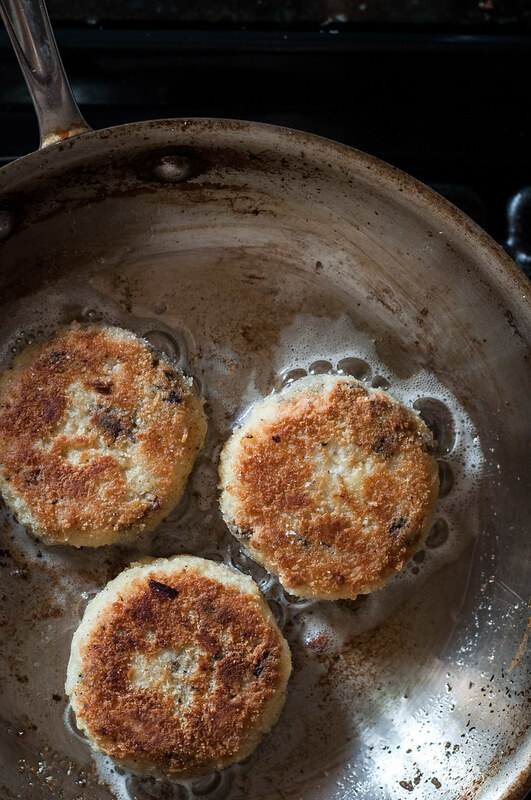 Oh, and the risotto cakes are a delicious use for leftover risotto, with or without brunch. No matter when or how you consume them, say goodbye to eating leftover, sticky, microwaved risotto. Place risotto in freezer and turn oven to low (around 170 F). Heat 1½ tablespoons olive oil over medium low in a 10 inch (or larger) skillet. Add smashed garlic and cook on both sides until golden brown. Remove from oil, add minced garlic, and cook about 15 seconds. Add as much spinach as will fit in the pan and toss with tongs until beginning to wilt. Continue adding spinach as it fits. Once all spinach is wilted, add lemon juice and cook briefly until slightly reduced. Transfer to a bowl, season to taste with salt and pepper, cover with foil, and keep warm in the oven. Place rice flour in a shallow bowl. In another bowl, beat eggs and milk well. In a third shallow bowl, mix Panko, almond meal, and a pinch of salt and pepper. Cover half of a baking sheet or dish with wax or parchment paper and the other half with a couple layers of paper towels. Form ¼ cup scoops of risotto into balls. Flatten into a disc ¾" thick and about 3" in diameter. Gently coat each cake in rice flour, tapping off excess. Quickly dip one cake at a time in the egg mixture, wipe off the excess while holding the cake in one hand, then coat in Panko mixture. Place breaded patties on the wax paper when done. Cakes can be prepared in advance up to this point. Refrigerate, covered, between layers of wax paper. To fry cakes, heat a thick coating of oil (about 3 tablespoons) in a skillet over medium heat. When very hot, gently add 3 or 4 cakes to the pan. Fry about 4 minutes per side, until browned on the outside and warmed through. Drain on layers of paper towels, then remove paper towels and keep warm in the oven while eggs cook. Bring enough water to cover four eggs to a boil in a medium saucepan. Add eggs and immediately set a timer for 7 minutes. Maintain a moderate boil while eggs cook, uncovered. Quickly remove eggs to bowl of ice water for a couple minutes. Gently peel eggs (the whites will be fully set, but the yolk is fairly liquid) and set aside. 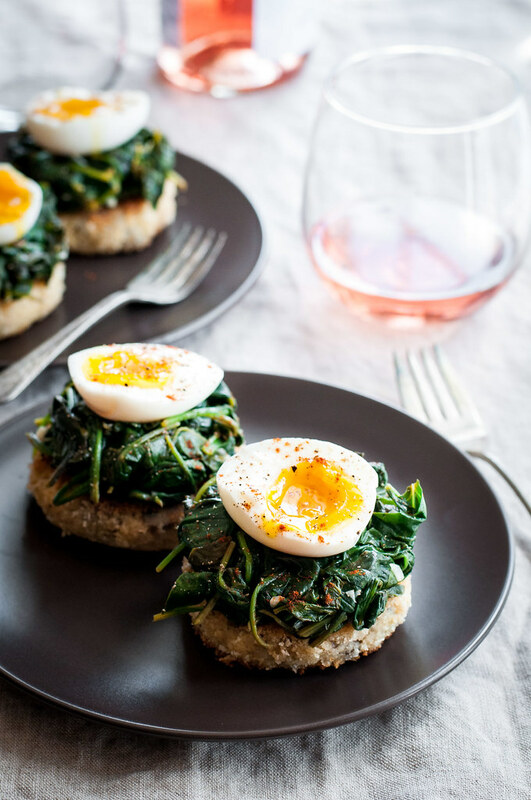 To assemble eggs florentine, serve two risotto cakes on each plate and top with a small scoop of garlic spinach. Season with black pepper. Cut each egg in half lengthwise, quickly turning the halves face up and placing atop the spinach, allowing some of the yolk to run down. 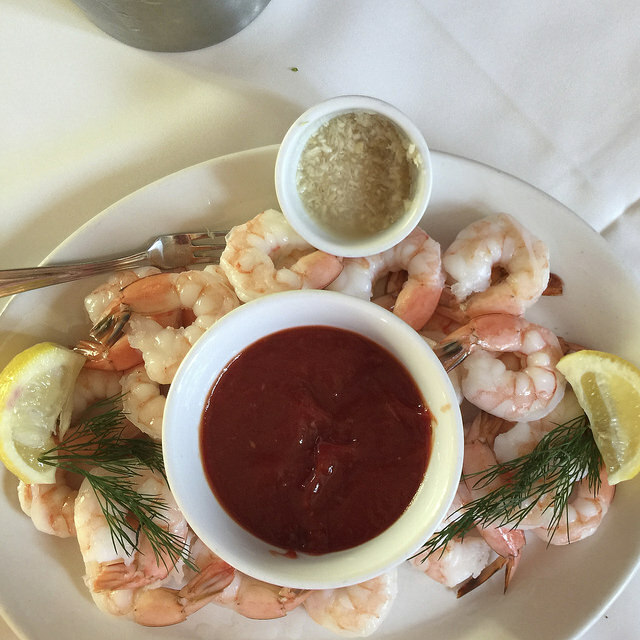 If desired, garnish with a sprinkling of paprika, more pepper, or finely grated parmesan. If you have a 3 inch biscuit or cookie cutter, use it to form nice and compact cakes. Place it on the wax paper, drop the risotto into it, and push it down snugly to the edges, gently lifting the cutter away. Note: This page contains affiliate links. It does NOT contain sponsored content. Affiliate links (to products I recommend, on Amazon) offset my ingredient and website maintenance costs, so I can keep bringing you brunchy recipes like this one. Thanks! This is wonderful!! Going to take a crack at it with a slight modification and throw it up on the insta. (Apinch_of_salt) Will make sure to give this post credit. Thank you for sharing! !